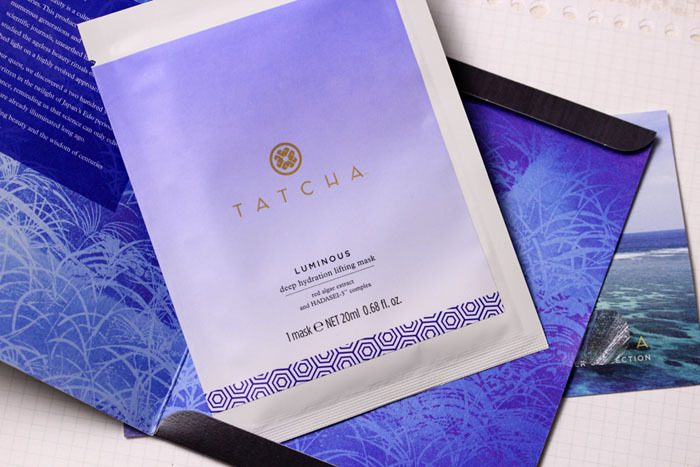 I am unable to separate the idea and reality of the luxury that is the Tatcha Deep Hydration Lifting Mask - at $24 apiece, I cannot say whether it is truly better than the sheet masks I can get for less than $2 because price=luxury is quite firmly ingrained in my mind, but I can say having it on feels like having the most hydrating type of moisture ever sit on your face. I thought the sensation would dissipate with time, but thirty minutes in (instructions say to leave it on for fifteen) my skin was still soaking in what seems like a never-ending well of moisture, like an eternally moist giant slice of cucumber, if you will. Above all, it soothed the very raw area around my eyes I've been trying and failing to calm with eye cream. When I reluctantly pulled the mask off, my cheeks were pink in the way that would suggest I came back from a hearty run [Edit: To clarify, this is not a scary pink that suggests inflammation of any sort. I am usually deathly pale, but for some reason after using the mask I look "healthy." Does this make sense?] I hate to marketspeak you, my dear readers, but I looked positively radiant. Unfortunately, the effects of all sheet masks are instantaneous but fleeting, so while you might experience better, happier skin for the next few hours, that's about it. 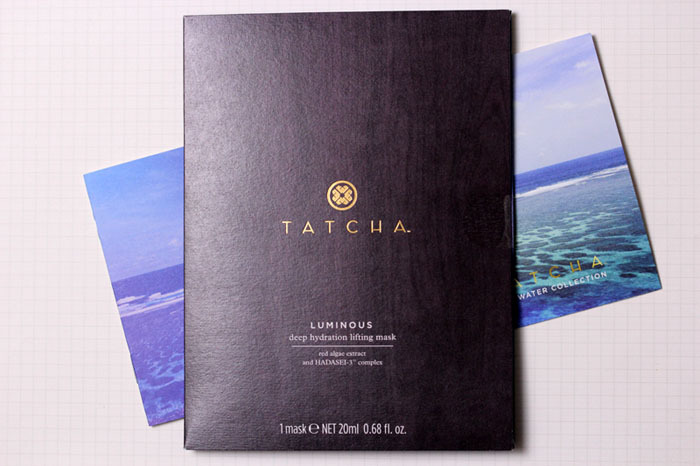 The Tatcha Deep Hydration Lifting Mask is sold in a set of four packets for $95 at Tatcha.com. The price sets off exclamations in my mind, but truth be told, I would rather pay for this rather than a session at a spa. It's cheaper and delivers the same effects. I don't know if your cheeks should be pink after a moisturizing treatment...did it tingle or anything? I will respectfully disagree--I don't think there really is a healthy pink that comes from moisture; I would suspect that it is actually mildly irritating--after all, there are even ingredients that can cause irritation WITHOUT it showing on the surface. I understand :) I'm not a whiz about ingredients so I wouldn't know if that was the case. But as far as sensation goes my skin didn't tingle or feel sensitive or anything. Maybe I've become pinker as a person? Hahaha. Thanks as always for commenting though! I love sheet masks. They are perfect to stop the person next to you talking to you on a plane. This one sounds fantastic. I also wanted to report that after reading your review on Tatcha, I purchased the Deep Rice Enzyme Powder (I also received a sweet handwritten note, BTW :)). My skincare routine has been the same for the last 10 years, but after using the powder every night for the last week and a half I already see a difference. My skin is more radiant and feels/looks smoother. I experienced some peeling for the first 4-5 days but kept using it and now it has stopped. I absolutely love it! I don't think they send samples, unfortunately :( The Silk Cream is awesome, but I think you'll need a heavier serum to go underneath for winter (this one seems drier than usual. My nose is crying). I wish now that we had this brand in france! I'm sorry, I haven't tried any Erno Laszlo products so I can't say :( Tatcha ships worldwide though, I believe? Hi Xiao, do you have the list of the ingredients of this mask? If it's too long to type, do mind sharing us the first 3-4 and the last 2-3 of it? Curiously enough, I've been really into masks. I bought a bunch of Japanese-made ones from Daisho :-) they are all nicely moisturizing but I'm always curious about the high-end ones. Great job as always -- enjoyed your posts & your new do! wow, that is a pricey mask! it does sound nice though!